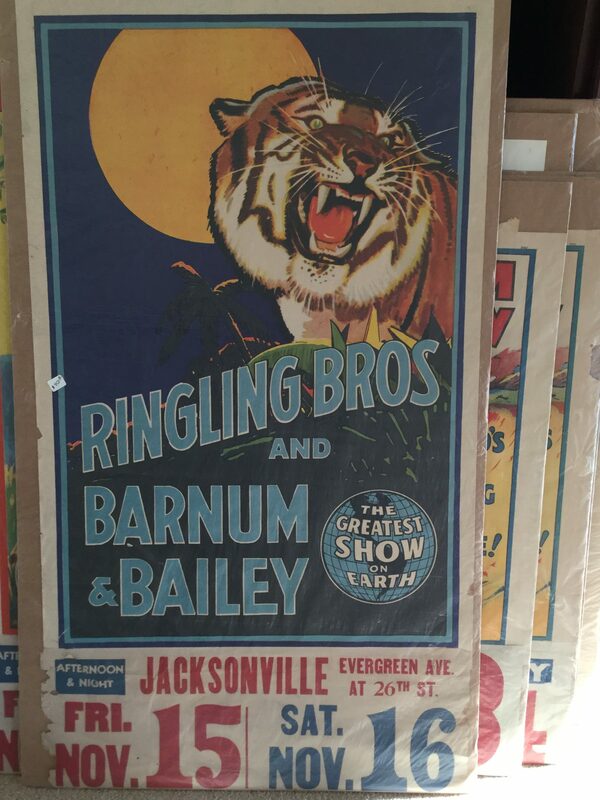 Ringling Bros and Barnum & Bailey Poster, the Greatest Show on Earth Circus Poster of Angry Tiger. 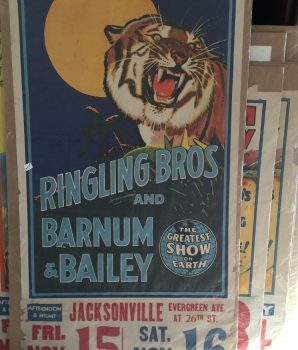 This advertising lithograph for Ringling Bros and Barnum & Bailey Circus is shrink wrapped plastic on board with name tag. Size: 51″x28″. $350 plus shipping.